I’m happy to share this edition of Innovations outlining the work that was done over the summer months and early in the semester to improve our services, sharpen our systems, upgrade classrooms, and speed up our network. There’s much to share about improvements to our high performance computing services, exciting collaborative work on drone technology, and what we hope will be helpful tips on keeping access to your information secure. We’re also very happy to announce that a new system for Institutional Advancement, Raiser’s Edge NXT, has been rolled out. This new system, which replaces Banner’s older advancement functions, is the product of a massive amount of work by a cross functional team of Institutional Advancement and ITS staff members over nearly two years. Raiser’s Edge NXT will put the very latest relationship management and reporting/analytics technology in the hands of those who fundraise on Colgate’s behalf at this critical time in our university’s history. Congratulations to Lindsey Hoham of IA and Bridget Gaudreau from ITS, who co-led the project to a successful conclusion in August. This edition also includes an article by Jen Servedio about the women of ITS. I won’t repeat Jen’s good work here, but do want to share a CIO’s perspective about why this article is so very important to me — and should be to you too. At risk of stating the obvious, information technology is, at its core and from its earliest days, about solving problems and producing solutions. The earliest computers were designed to simply process mathematical equations far faster than humans could. Before anyone was thinking of the power of organizing large quantities of information to publish the latest research, or collaborating with far-flung colleagues working on the same questions, or discovering music from half a world away, we were just solving equations. Today, information technology is challenged with a new math problem to solve, and it’s genuinely a difficult one. The nonprofit organization Girls Who Code, which is dedicated to introducing young women to computer science, reports that in 1995, 37 percent of computer scientists were women. Today, that number is closer to 25 percent. Current trajectory would indicate that in 10 years, the number will be closer to 22 percent. The research firm Gartner reports that in leadership roles, the number is closer to 14 percent. As a CIO, the community I serve counts on my team and me to tackle hard problems. We’re charged with architecting and implementing technology solutions for just about any need. Developing and maintaining the systems that support the administrative work of the university, connecting our campus to the fastest research networks, helping faculty and students produce academic media — all these fall within our charge. Sometimes our work is easy. Sometimes we’re inventing the wheel. Regardless, we must be a team of people who are capable of approaching any technical problem from many and varied perspectives. There’s solid evidence based research that ethnic, gender, and racial diversity are required of teams that are developing any complex modern system. After all, technology solutions are shaped by the thinking, perspectives, and biases of the people who build and use them. Engaging undergraduate students in coursework that involves research, generating new insights, and sharing this work with a wider audience beyond the classroom is an incredibly valuable learning experience. For the past several years, students in theater professor Christian DuComb’s Global Theater course have been creating an openly available resource site on the web. Initially, DuComb was inspired to create a website as part of his Global Theater course because it provided students with an opportunity to contribute to a learning resource that would grow and evolve with the course. “The inspiration for the Global Theater site was threefold. Firstly, there are a lot of performing artists and performance traditions that aren’t accurately or adequately represented on the web. Secondly, I liked the idea of students being able to contribute cumulatively to a dynamic body of knowledge that grows and changes over time. Finally, students these days need to know how to make a webpage. This isn’t only a matter of learning how to use an application like WordPress, but also of evaluating sources and integrating research in an interactive, multimedia space.” said DuComb. A common feature of many courses at Colgate is the creation of spaces where students contribute to a growing body of knowledge. An emerging practice is the creation of web-based spaces, where student work is openly published and archived. Each year, students in the Global Theater course undertake an assignment, where they are asked to add a new resource to the site, such as an original web page or a digital video, or to substantively revise an existing page on the site. Over time, the student-generated content on the site has grown, and serves as valuable and highly relevant reading material for other students in the course. The instructional design colleagues worked to ensure that their course support complemented the design of DuComb’s existing assignment. For example, students were required to write a short synopsis of their research. This element of the assignment was reflected in a “magazine-grid” layout for the site that displayed these synopses beneath featured images that students chose to represent their research. DuComb also required students to select a few key words to summarize their research. These key words then became “tags” that were displayed as word splash on the front page of the site. The taxonomy of student-generated “tags” serves to show topical connections among the various theater resources on the site. The “tags” are one of several different ways to navigate and learn about theater locations throughout the world. The site also takes advantage of Google Maps and uses pins to identify specific theater locations — reproducing a “globetrotting” experience for those exploring the resources. These multiple means of representing information on the site allow for a variety of ways to explore the rich set of resources that continue to grow in the space, and to discover how different cultures enact theater. When it came time for students to share their research on the site, the instructional designers facilitated WordPress workshops and office hours to support students in adding their written content and embedding media to the course site. DuComb observed that “the instructional designers are also adept at training students, which has been a huge help.” Lesley Chapman, visual resources curator, also assisted students in researching visual and digital media and properly citing their sources on the site. It’s a great time to be a woman in Information Technology Services (ITS) at Colgate. The number of women in technology roles is increasing everywhere and it’s becoming apparent right here at Colgate. In September 2018, ITS hit its all-time record high of 10 full-time women out of a staff of 46 highly skilled technologists. That’s about 22 percent of our workforce. The ratio of women to men in ITS at Colgate is about 1 in 4.6 as compared to 1 in 3 at big tech companies like Apple, Google, and Facebook. There is evidence to show that having a diverse workforce creates teams that are more productive, especially when working with complex, multilevel tasks. Scott Page, a social scientist and professor of complex systems, political science, and economics at the University of Michigan, claims that diverse groups provide “diversity bonuses” because they bring different perspectives that leads to improved problem-solving, increased innovation, and more accurate predictions. A good example is when you get stuck on a problem and someone else offers insight that helps you move forward. Diverse teams produce an array of creative ideas whereas a homogeneous team will generate very similar ideas. Although recruiting has been a challenge, ITS at Colgate is committed to creating a diverse workforce that supports individuals from all backgrounds. We noticed that once there were more women in our division, the number of female applicants started to grow. The number of focus groups for women in technology has been steadily increasing too. In 2016, some colleagues in the New York Six Liberal Arts Consortium and I formed NY6WiT to create a shared space for women in technology at our schools to find mentors, network with peers, and support each other. There are currently 54 women involved in this group. Our monthly virtual meeting, “Coffee with Colleagues,” provides a face-to-face discussion of a predetermined topic that easily accommodates our busy schedules. The women in ITS at Colgate are extremely talented technologists, many of whom have been here for a number of years. Chances are pretty good that you have interacted with one or more of us, whether you called the helpline, planned an event that required technology, attended a technology training workshop, needed custom Banner reports, or needed help with technology in your coursework. Drones, also referred to as unmanned aerial systems (UAS), have no human on board. Instead, they are piloted from the ground or by a computer with a preplanned flight mission. The scale of these crafts can vary greatly, from something that fits in the palm of your hand to something larger than a sport utility vehicle (SUV). As drone technology has advanced, so have its applications. Some of the more popular uses include surveying ground sites, remote sensing, and 3D modeling. At Colgate, we began exploring drone usage in 2013, and since that time, we have sent drones on domestic and foreign research expeditions and filmed a variety of campus events. The university has also used drones in simulations and/or as components of art projects. As “word” of Colgate’s experimental drone usage got out, we connected with other drone-pioneering campuses, informally exchanging ideas for new and novel ways to leverage the technology. At and around this time, there did not exist a formal platform for these types of exchanges, however, so we decided to create one. In 2015, we created our own event for drone usage in higher education, titled “Drone Fest.” There are other drone-related conferences out there, but those tend to be specific to other industries. We wanted a place to exchange ideas with other colleges and universities, and we were not the only ones. Since the first Drone Fest in 2015, we have met yearly with regular representation from eight to 10 schools. Some of the topics we have covered include: photogrammetry, geological mapping, war games, search and rescue simulations, and drone racing. We have brought the knowledge gained at these events back to our faculty, working with them to explore new ways to conduct research and to enhance support for faculty who already use these crafts in their work. An important step for any researcher is to make sure their work is recorded and stored in a safe place for later analysis. Here at Colgate, we offer a host of solutions to ensure your data is safe from hardware failure, theft of physical hardware, or disaster. Some researchers across campus are already familiar with Dropbox and Google Drive, two online services that allow you to use cloud storage as a special folder or a network drive which you can then save data to from within your normal collection or analysis software. Dropbox, which appears as a special folder on your computer, synchronizes all data stored to that folder with any other computers which have Dropbox installed and the same user logged in. There are personal Dropbox accounts and enterprise (Colgate-provided) Dropbox accounts with different features, for example, an enterprise Dropbox account that meets special requirements for data retention that personal accounts may not. Personal Dropbox accounts are free or paid, while Colgate Dropbox accounts are paid for by ITS. Google Drive (specifically Google Drive File Stream), on the other hand, appears as a network drive. As part of the Google Educational suite, Google Drive is free for anyone with a colgate.edu e-mail address and offers unlimited storage. Ultimately, the difference between Dropbox and Google Drive will come down to personal preference, or seeing which program is better integrated with the software you use. Other researchers may desire to back up the entire program and application stack used to generate the data and analysis of their work for reproducibility at a later date. For these researchers, ITS recommends using Crashplan software, which runs on your laptop or desktop and uploads the data, the applications, and the configuration you create to its servers in the cloud. The Crashplan program can be configured to only run at certain times of day, or when the computer is idle, or even when the computer detects it’s connected to the on-campus network (useful for portable laptops). Otherwise, the Crashplan software runs quietly in the background and sends an e-mail once per week to let you know that everything is backed up safely. Innovations Newsletter Fall 2018 – P@sswords! Let’s face it, we all know how we truly feel about usernames and passwords. These credentials have become a necessary burden in our digital lives. They serve as proof when we are required to validate our identity to the many systems and websites we’ve come to depend on — everything from logging into our computers, to checking our e-mail and shopping online. These services require us to provide something we know, otherwise known as a memorized secret. We commonly refer to these secrets as passwords and begrudgingly welcome them into our digital lives. But these memorized secrets have been around for a while. In fact, your ATM or credit card Personal Identification Number (PIN) is yet another form of a memorized secret — albeit, one that is easier to memorize since they are limited to numbers with a common length of four to six digits. But as our reliance on technologies continues to increase, so does the burden of having to remember all these secrets. To further safeguard these secrets, we made passwords more complex in order to thwart an attacker from easily guessing them. For this reason, you will often come across a similar statement when creating a new account: “Your password must be at least 10 characters with a combination of each of the following — uppercase, lowercase, numerals, special character.” Admittedly, it’s not easy keeping track of all these secrets, especially ones that you can’t share or speak of. But relief is on the horizon as the National Institute for Standards and Technology (NIST) recently updated their recommended best practices for memorized secrets, a.k.a. P@sswords! Based on the results of several studies, NIST has concluded what we have intuitively known for quite some time now — people have a difficult time memorizing passwords, especially wacky and complex ones that only a machine could understand. Our human minds have a tendency to create the simplest password that satisfies those complexity requirements (e.g., Colgate13!) and because of the adage “if it works, don’t fix it,” we simply reuse that password over and over again across various other systems and websites. Perhaps you came up with a really good password? Studies have also found that people tended to write down or electronically record these really good passwords. While adversary tactics and techniques evolve, so does our understanding of best practices for passwords. In the past, judging the acceptability of a password based on its complexity and length was once regarded as the gold standard, as such complexities guarded against password cracking attacks. However, this added complexity (i.e., entropy) no longer mitigates modern day cyber attack vectors. Instead, this added complexity will severely impact a person’s ability to remember the actual secret, resulting in workarounds such as password reuse or simply writing or storing the passwords in an insecure manner (e.g., sticky notes or a document in your computer). Modern day cyber attacks now focus on exploiting human tendencies and behaviors. Rather than attempting to crack the actual password, attackers lure victims into inadvertently disclosing their passwords and account information through phishing e-mails. Once an attacker obtains your password, they can attempt to gain further access to other websites and accounts by exploiting our human tendency to reuse passwords. The issue of password reuse expands further once we consider how passwords are chosen. Analysis of previously compromised passwords (~500 million) from various websites and companies has shown that people tend to create passwords based on social and culture references. In other words, there is a good chance that the password you create is not actually unique, and someone else probably came up with the same password (e.g., Colgate13! or StarWar$). Given all these human tendencies and behaviors toward passwords, an attacker can guess a “complex” password with relative ease. This class of attacks is referred to as credential stuffing and the risk of password reuse can be further illustrated with this real-life example. In 2012, Dropbox suffered a data breach resulting in the loss of information for more than 60 million accounts. Years later, when details emerged in 2016, it was uncovered that the initial compromise was the result of a Dropbox employee reusing their company password for their personal LinkedIn social media account. After an attacker compromised LinkedIn earlier in 2012, the attacker pivoted and targeted Dropbox with the freshly pilfered credentials, resulting in significant financial and reputational damages. Although we don’t have to personally worry about thousands of passwords, there are important steps we can take to improve our security hygiene when it comes to managing passwords. A reputable password manager, such as LastPass, provides an acceptable balance between convenience and security. A reputable password manager will securely store all of your passwords in an encrypted vault which only you can access. One burden is lifted, as you no longer have to remember the password for every system or website. An added benefit of using a password manager is that you easily prevent password reuse by generating a unique password for every system or website through the use of its built-in random password generator. Passwords such as V8t$g$Kj*&E5jQu can readily be generated for each and every account. This provides the convenience of not having to memorize every password, while increasing your security hygiene by having random passwords generated. So instead of hundreds of “complex” passwords to remember, you only have one, which grants access to the secure vault. And although this may sound like putting all your eggs in one basket, utilizing a password manager actually creates a defensible position, to which additional protective layers can be added such as Multi-Factor Authentication (MFA). Stay tuned to the ITS blog for more updates as we continue our evolution in making Colgate a more secure community and environment, such as revising the ITS password standard for Colgate systems. In the meantime, let’s focus first on improving our security hygiene when it comes to our passwords. As one of Colgate’s flagship programs, the Office of Off-Campus Studies (OCS) has always been a strong component of our liberal arts education. In 2016, Nicole Simpson, associate dean of international initiatives, and Joanna Holvey Bowles, director of off-campus study, identified the need to improve the application process, marketing, and risk management for all off-campus study programs and Colgate-sponsored international travel. 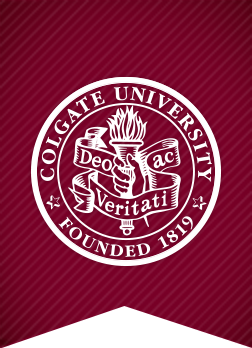 Used by a majority of universities nationwide as well as by the New York Six schools, Terra Dotta software was recommended as the best solution for Colgate. As the leader in study-abroad and international travel management solutions, Terra Dotta couples its feature-rich, flexible, and easy to use software with employees who are experienced in higher education and off-campus study offices. Working with (ITS) to ensure data security and software integration, and to secure funding, the project kicked off in the summer of 2017. Without Terra Dotta, the OCS application process involved cumbersome manual processes with Google documents and spreadsheets to flow information between offices. The inconveniences for students, faculty, and staff were apparent and the processes were ready for improvement. “Having a database tool would free up staff time to concentrate on the goals of cross-cultural learning, individual advising, faculty support, and effective crisis response. We also needed to focus on improving online procedures and data collection to assist with specialized advising for nontraditional locations, which is a strategic goal,” said Joanna Holvey Bowles, director of OCS. It’s all about the process As with any new software implementation, process review is key to its success. Project leads Holvey Bowles and Aaron Solle, operations and communications manager for the Center for International Programs, led the staff through process discussions and decisions to help manage the change that was needed. Solle did the lion’s share of the work setting up the Terra Dotta user experience and configuring the application process to match Colgate’s needs. Joe Alfonso, ITS, worked with Terra Dotta to set up single sign-on so users can use their Colgate credentials to access the system. Jim Jerome, ITS, created the data interface from the Banner student system to enhance the functionality and usability of Terra Dotta for students and faculty. With Terra Dotta, it is easier for students to apply for off-campus opportunities. Programs with different housing requirements can feature different questionnaires based on the accommodations available. Students receive digital reminders during the application phase and student profiles can dynamically drive the questions asked on an application. For example, students with specific majors may have to complete additional questions on their applications. The application and study-abroad information in Terra Dotta is accessible for one-stop shopping across campus for those with a need to know. The system allows for “Learning Content” before, during, and after admission, so that specific readings or assignments can be recommended to Colgate students in preparation for going abroad. Destination-specific informational videos can be made available to better prepare travelers for their experience. At the end of March 2018, OCS used Terra Dotta for the extended-study application for the first time, which went off without a hitch. In October 2018, Terra Dotta will be used for Study Group applications for Fall 2019 and Spring 2020. In cooperation with faculty, the facilities department, and vendors, ITS annually upgrades a swath of learning spaces to improve the quality, consistency, and reliability of classroom technology. This summer, the second floor of McGregory Hall and several classrooms in Little Hall were refreshed with new lecterns, projectors, peripherals, and projection screens. In particular, our first foray into laser-based projection was installed in some of the larger classrooms. Laser projectors are lampless, resulting in no lamp failures or changes. Moreover, these projectors are much brighter, have a long life span (over 20,000 hours), and retain their full brightness longer. As part of these most recent upgrades, we devised a standard graphical user interface for touch panels. Touch panels are used to select which source is displayed, and control volume and peripherals, such as Blu-ray players. We are continuing to update and upgrade these control panels to reduce confusion and provide a consistent experience from classroom to classroom. In addition to classroom upgrades, we installed over a dozen televisions across campus and continue to upgrade classroom, event, and meeting facilities. If you have questions, concerns, or comments regarding Colgate’s classroom technology, please e-mail Mark Hine at mhine@colgate.edu or call 315-228-7116. Wireless projection enables faculty, staff, and students to display content, from a laptop or phone, on a TV or data projector without the tangle of cables or a myriad of adapters. ITS has explored numerous technologies and software solutions, finding some benefits to each but often learning of a show-stopping feature or deficit that encouraged further research. In addition to working with an enterprise network, a wireless projection device should be able to handle sound from PowerPoint or YouTube, for example, and mirror video in full resolution. ITS has successfully tested and deployed a product which meets these demands called ShareLink. The ShareLink device is mounted out of sight and is accessed by software. Mac, Windows, iOS, and Android are supported. Each device is addressed uniquely by its IP address and a code only visible in the room where it’s deployed. This ensures only a local user or users may connect. Up to four computers or phones can connect simultaneously, allowing students to share work and compare notes. The ShareLink supports extended desktop (think presenter notes in PowerPoint) and a feature where a student can use the software to simply view, on their laptop or phone, what is projected. The ShareLink can currently be found in 560 Case Library, 114 and 207 Little Hall, Benton Career Commons, the Benton Seminar Room, and a few meeting rooms. More deployments are planned in the coming semester. If you are interested in previewing this device, please send an e-mail to itshelp@colgate.edu. We would be happy to show you the ShareLink! Due to some of last night’s storms Colgate was affected by regional phone outages. Our phone service provider worked to resolve these issues. As of 2:15pm our services were back up and running. Repairs to the regional networks are still in process as of the writing of this post, so there is the possibility of additional brief outages. You may recall that, earlier this year, we changed the way our phone system works to add redundancy in an effort to avoid being impacted by regional outages. We moved to a fiber optic service with two lines running two directions – one line runs north to Syracuse and the other runs south to Norwich and Binghamton. As a result of last night’s storms both lines were damaged. The line running south to Norwich was burned overnight in a fire. The line running north to Syracuse was severed in the intensity of the storm. Please keep in mind that some localities in central New York continue to suffer outages. Therefore, although the campus service is now operating, you may find that many area homes and businesses are still out locally and may still not be reachable. ITS will be updating our software, which will include an automatic update of your desktop software. You may notice changes to the interface and icons for the program, but otherwise service will not be affected. If your backup needs have changed or want to explore other storage options, or if you have any other questions or concerns, please reach out to the ITS Service Desk at x7111 or email itshelp@colgate.edu. This securing personal mobile is that very interested. Thanks for the article. I use Thunderbird and it is helpful.